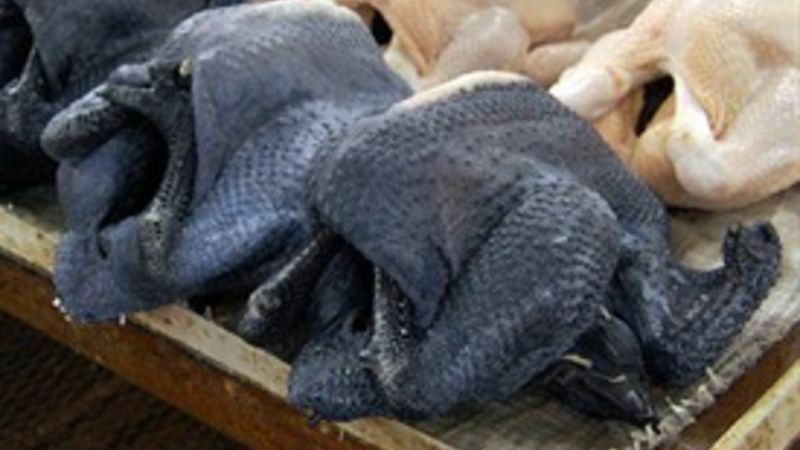 Wash the black chicken and cut into smaller, soup friendly pieces. Boil the chicken in water for 5 minutes and trim away any excess or visible fats. Place the black chicken, dried goji berries and red dates into a slow cooker. Boil the water and pour into the slow cooker. Using the low setting, gently simmer for 25 minutes. Add a pinch of salt to the soup before serving, or more to taste. ingredients should be available in Asian specialty markets.